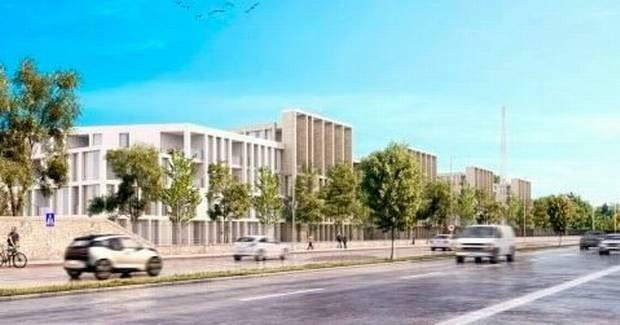 The first tranche of more than 600 luxury apartments on part of a Greenfield Park site opposite land once owned by RTÉ, is to go on the market in June. Cairn Homes, the development and construction company, which purchased the land is putting the final architectural and construction touches on 86 of the now planned 619 luxury apartments. The launch was planned for January but had to be pushed out six months to allow for pre-planning permission consultations with An Bord Pleanála and Dublin City Council. The developer, has lodged planning documentation with the authority, indicating that 619 apartments and three townhouses are now hoped to be built - higher even than the number indicated to investors last November. Being launched as Donnybrook Gardens, the 86 planned units will comprise of two, three bed and penthouse apartments in the much sought after area of Dublin 4. New hoarding was placed, by Cairn, close to the new entrance into RTÉ’s campus off the N11 Stillorgan dual carriageway last week detailing information on how to register interest in the first phase of the apartments construction. Pre-planning consultation is continuing with An Bord Pleanála, the developer and Dublin City planners. New Strategic Housing Development rules allow developers to bypass local authorities and have their applications decided by the appeals board. Now it is putting the final architectural and construction touches on 86 of the now planned 619 luxury apartments.